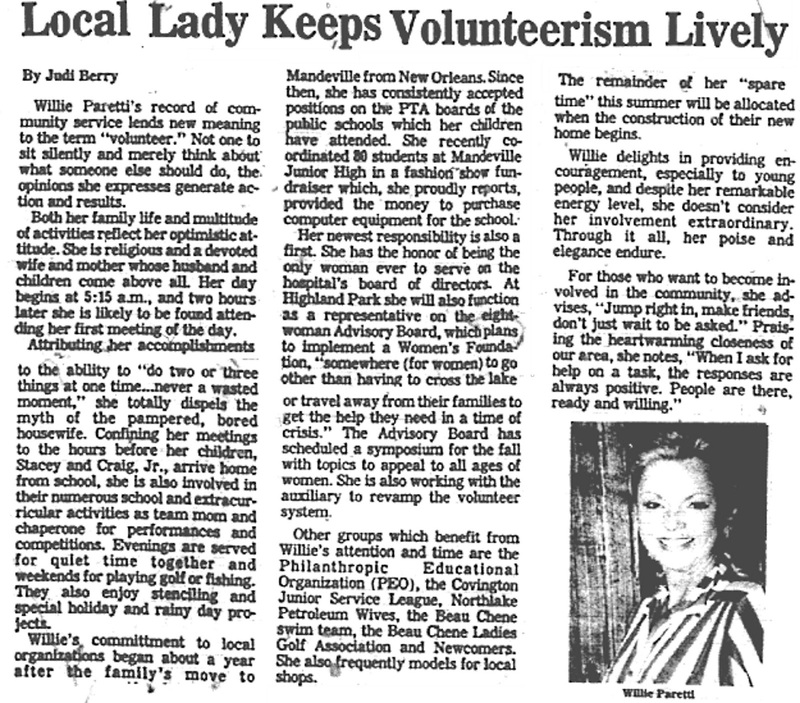 Willie Paretti blazed new trails in the St. Tammany volunteer community, leading the way in doing and promoting worthy causes. 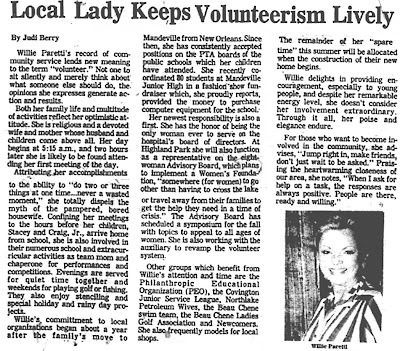 Here's an article about her that was published in the mid-1980's. Click on the image to make it larger.